Lead Free Ammo | Ammo & Bullet Mfg. Inc. Whether you are part of the armed forces, law enforcement, or a shooting club, the right bullets can make a big difference in your performance. While most shooters are more accustomed to standard ammunition, they could put themselves at risk by using it. By shooting with lead free ammo, you minimize the dangers posed by lead bullets. When it comes to certain shooting activities, lead free ammo outweighs the benefits offered by traditional ammunition. To ensure your safety, you need to make sure that the bullets you are using are made by manufacturers who focus on quality control. Lead free ammo is safer for self-defense training and specialized training. Traditional lead bullets are not recommended when shooting from short distances. Compared to using lead free ammo, shooting with standard ammunition can cause ricochets. If you plan to shoot a couple of rounds at the firing range, you will benefit from using lead free ammo. Frangible bullets, a type of lead free ammo, are excellent to use for those who are training to become sharpshooters. With a round made from copper powder, this lead free ammo disintegrates once it hits a surface that is harder than itself. If you are new to this activity, you need to keep yourself as safe as possible. By using lead free ammo, you prevent chances of ricochets and deflections. Lead free ammo is better for people who are fond of hunting wild game. Guns are one of the most common and popular weapons used for hunting. Most wild game is shot using traditional bullets, not lead free ammo. However, some hunters are unaware that not using lead free ammo while hunting means that the animal they are about to consume has been exposed to lead. Studies have shown that eating wild game that was shot by standard ammunition instead of lead free ammo increases lead levels in the body. Children and pregnant women are more affected by this exposure. Hence, it is highly discouraged for them to eat animals that haven’t been shot by lead free ammo during hunting. As a hunter, you may find the chase thrilling. However, if you plan on feeding your hard-earned game to your family, we encourage you to use lead free ammo while hunting. For more information on an eagle dying due to lead ammunition click here: https://news.nationalgeographic.com/2017/12/eagle-death-lead-poisoning-ammunition-bullets-spd/. Lead free ammo performs just as well as traditional lead ammunition. While some people claim that classic lead bullets are better than lead free ammo, that isn’t always the case. Although the former can successfully hit a target, it fails to deform properly upon impact. You will not be encountering this issue when you use lead free ammo. The projectile designs of lead free ammo can only be described as revolutionary. Since a different material is used to substitute lead, usually copper, the bullet does not fragment as much. With this design, lead free ammo can retain its weight when it hits the target. Its structure also enables you to shoot faster, therefore being more effective. Do you plan on shooting with lead free ammo? If so, you should turn to the reliable maker of these innovative bullets. Ammo and Bullet creates and develops first-rate ammunition for the armed forces, law enforcement, and companies. 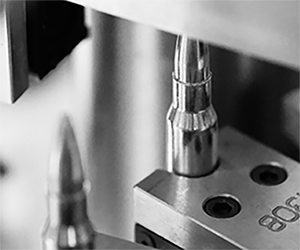 We only manufacture bullets using premium-grade materials and the latest equipment available in the country. We guarantee that our lead free ammo has undergone an intensive quality control process and is both effective and safe to use. Are you interested in buying lead free ammo? Let our team at Ammo and Bullet be of assistance. For more information, please contact us today! We are Ammo and Bullet, an ammunition manufacturer based in Arundel, Maine. Our company develops and produces high-quality ammunition for the military, law enforcement, and businesses. We are proud to offer excellent ammunition assembled using top-notch materials and state-of-the-art equipment in the USA. Since we value the lives of the people who use our products, we pay close attention to detail and performance, particularly during our quality control process. We use laser sensors to check powder levels and performance. This process is done twice to ensure accuracy. Our company also uses optical micrometers to achieve satisfactory results for cartridge length, bullet seating, and case gauges. If we miss out on any step, we properly dispose of a cartridge. After the automated check, our ammunition is packaged. Technicians will examine possible defects before shipping our products and ensure they are frangible. Our company also performs tests on random samples and checks component dimensions prior to loading. For our manual checks, we examine powder level, bullet seating depth, primer depth, and overall length, among others. Consider our company as your organization’s own manufacturing team. Different organizations and businesses have approached us to for private label ammunition. We load and package your ammunition based on your specifications. Our company produces ammunition for businesses that run rifle ranges and shooting clubs, and we create customized solutions for their unique needs. For example, we can produce green ammo to minimize lead air pollution in indoor ranges or to comply with new environmental regulations. For more info on our retail options click here. Are you looking for the right ammunition maker? Look no further than Ammo and Bullet. Call us today at (888) 407-0240 to place your orders and to learn more about our products. We are available from 9AM to 5PM. Partner with us, and we’ll help you get reliable ammunition.